Due to a mix up with the booking at Alexander Stadium the meeting will now be held on Friday 22 March in the Dennis Howell Room at the Stadium at 7.00pm. 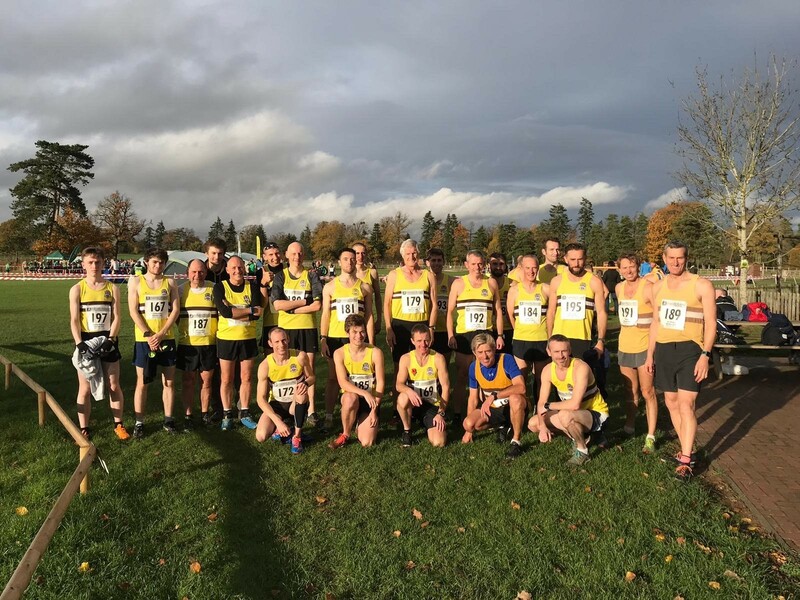 The athletics world knew Mike best as a leading officer of Warwickshire County AA, as a timekeeper for Track, Cross Country and Road Racing, and as a Committee Member of the English Road Racing Association. He was Treasurer of Warwickshire for 5 years, a very diligent Trophy and Awards Secretary for 7 years ensuring that awards actually found their way to the correct recipients and then were returned for the next year’s presentations, and at the same time as Permits Secretary for a period of 11 years, checking and issuing Road Race Permits, providing that questioning and regulatory experience needed to ensure the safety of our runners. From 2011 onward when UKA’s ideas on participation in running became a little more organised Mike became a founder member of the RunBritain Regional Licensing Panel, bringing his extensive knowledge of current races within Greater Warwickshire to their decision making. Mike’s experience as a Telecoms Engineer also regularly came into prominence in addressing communications issues for endurance running, between road race marshals out in the country and their race control and medical HQ. He was a long term timekeeper at T&F meetings for county and regional competitions but also for local club and schools events which he always supported and which brought him into close contact with parents and others who were not normally involved in athletics. At least one other timekeeper helping Mike at a mid week Solihull Schools event was surprised to be introduced by Mike to Baroness Karen Brady, who was there as a parent ! Yes it’s who you know, and he did ! But his real expertise was with Pam as his scribe, being generally recognised as the most accurate recorder of times achieved in road and cross country races in the region. He would manage to provide accurate times for upwards of 600-700 finishers rarely missing one – an intense period of concentration by both of them. With thanks to Alan Edwards for the above. A few days after receiving the news that Ron had passed away we learned that his wife Eva had sadly passed away. Ron and Eva’s funeral will be held on Monday March 25th, 11.00am at Hurst Hill Methodist Chapel, 64 Hurst Rd, Bilston WV14 9EU. The committal will be at Gornal Wood Crematorium, Coopers Bank Rd, Brierley Hill, Dudley DY3 2PT at 12.20pm followed afterwards by a wake at Tipton Sports Academy Social Club, Wednesbury Oak Rd, Tipton DY4 0BS. Family flowers only. Donations will be to "Action Heart Cardiac Rehabilitation Programme". Mike's Requiem Mass will take place on Tuesday 12th March, 9.30am at St. Ambrose Barlow R.C. Church, Lakey Lane, Hall Green, Birmingham B28 8QU. Followed by burial at 11am at Widney Manor Cemetery, Widney Manor Rd, Solihull, B93 9AA. Then to the wake at Silhillians Sports Club & Conference Centre, Warwick Rd, Knowle, Solihull, B93 9LW. If you do not wish to attend the burial, we are booked in at the Silhillians from 11.00am. On leaving Widney Manor Cemetery, turn left along Widney Manor Rd. and take the first right, Smiths Lane (look for blue weight limit signs at the junction). At T-junc. turn left onto Browns Lane & immediately left again (you'll see a Tilehouse Green Lane road name but once you've turned left it becomes Lady Byron Lane). This brings you to Warwick Rd, A4141. The Silhillians Sports Club is facing you on the opposite side of the dual carriageway; however, you need to turn left and go all the way around the roundabout. We are saddened to learn of the death today of Mike Doyle following a period of ill-health after suffering a stroke last year. Mike was a tireless servant to athletics, and of course to the League where he officiated for many years and served as President. We will publish details of the funeral arrangements when we receive them. Mike is being moved on the 4th February to Yardley Grange. He has recovered miraculously from pneumonia but still has a chest infection & is on antibiotics again. They are saying there is nothing they can do for the foot infection. He is ok in himself & it is a big relief to Pam that he is going to Yardley Grange. In this update we welcome Vince Carroll of Rugby and Northampton to the 100 club. Vince is pictured below at his hundreth race on home turf at Abington Park in Northampton. 19 Vince Carroll Northampton 100 New! Mike was moved to Heartlands on 1st Jan due to problems with heart/ breathing. He now has pneumonia & is on IV antibiotics Added to this he has an infection in his foot - grade 4 pressure sores. Fortunately it seems as if the antibiotics are helping & he is now breathing a lot better & appears more relaxed. 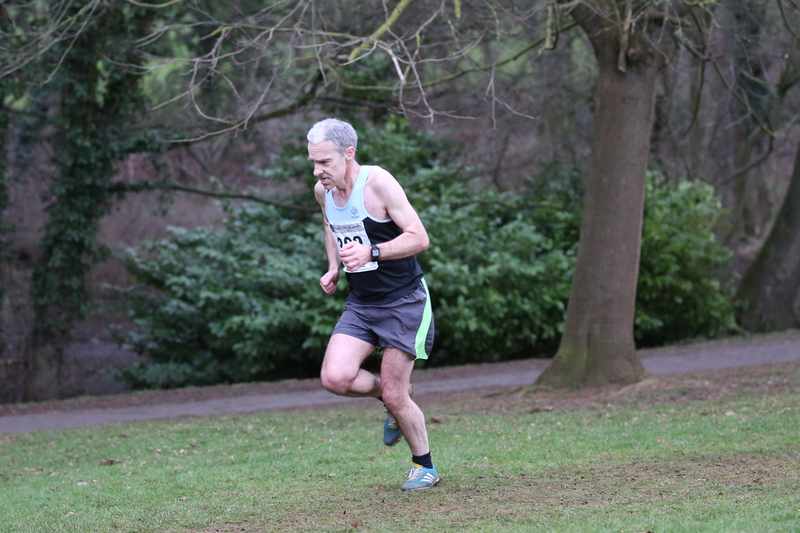 We also welcome Mark Baker to the Landmarks table having completed 108 races for Northbrook AC, since November 1987. 13 Mark Baker Northbrook AC 108 New! This year is the second that all divisions will be using the same style of numbers and the same methods of race results production masterminded by Ray Morgan of Leamington C & AC. The system has its roots in the West Midlands Young Athletes Cross Country League where it has been honed over many years. In our League it began in Division 3 and has evolved upwards through Division 2 and finally in 2017/18 into Division 1. Each athlete will be allocated his own unique race number which he should keep for the whole season. The number, made of tyvek, is weatherproof and tough - though probably not indestructible! Please make sure that you have a good supply of safety pins to attach the number to the front of your vest preferably at each of the four corners. The League does not supply safety pins. Check with your Team Manager if they have a supply. Each number will be unique. It will have his race number, his name and club together with dates of the four races and the logo of our number sponsor Coventry Runner. This will be the second year Coventry Runner have provided the race numbers for all three divisions and we extend our thanks to Anne-Marie Goodwin from Coventry Runner for her support. Anne-Marie is a member of Massey Ferguson RC and so is very familiar with the League and is glad to support the sport at grass roots level. Coventry Runner are based at 223 Burnaby Road, Coventry, CV6 4AX where you can find stocks of kit for the coming cross country season. We asked Ray how this number system works for him and what is involved in preparing for the season. 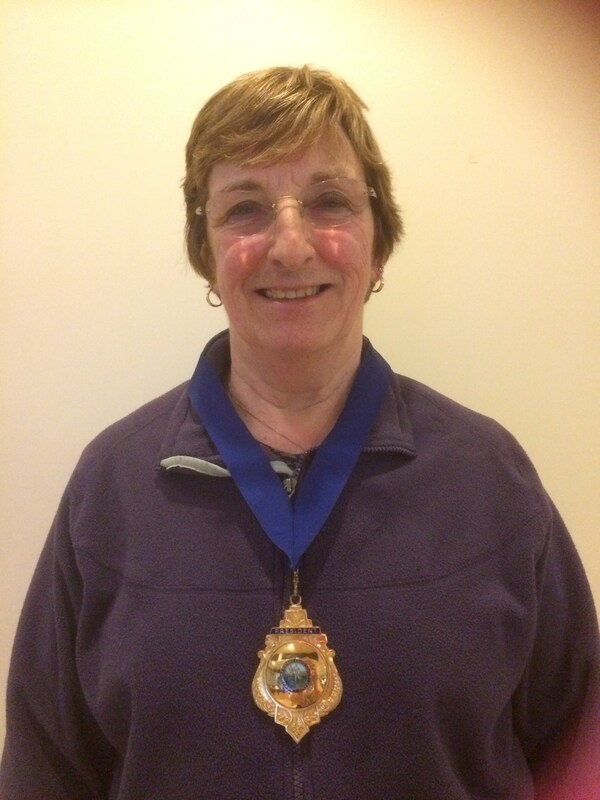 The 2018/19 Season sees Kay Adcocks undertake the role of League President. We asked her to provide a short profile for the website. Here is her contribution. "It came as a great surprise to me when I was asked by the Executive Committee to be your president for the 2018/19 season. I am very honoured to accept the position. My background in the sport of athletics began when I joined Coventry Godiva Harriers at the age of 16. I competed for the Club on the road, cross country and as a high jumper. I was a member of the former Ladies Section Committee for a number of years and was the Clubs' Treasurer for a period of five years in the late 80’s and early 90’s. I have been a qualified field events judge for over 30 years and in later years became an endurance official. I was made a Life Member of Coventry Harriers in 2012. In the 60’s and 70’s I was a regular spectator at Birmingham League Division 1 races. During that time I was privileged to see many of the country’s top athletes using the League events as a good solid grounding, leading them to greater achievements at National and International levels and at the same time being able to enjoy the camaraderie which comes along with racing in team events. The Birmingham League has provided excellent competition for athletes at all levels for 90 years. Without doubt this has been because of the stirling efforts and commitment of the many officials who have served the League over that time. It is my hope that as we move into the future the wonderful tradition of the Birmingham League will continue to prosper and hold onto the great legacy left by all those who have been involved in the past. I am looking forward to attending all divisions of the league in my year as President and I hope that all who take part have an enjoyable season. Thank you Kay. We will provide details of which venues Kay will be visiting in due course. League Secretary, Carolyn Franks, provides the latest update on Mike Doyle. "Mike is improving, he is eating better now so they have reduced his feed into the peg and they are getting him out into a chair daily. Last Monday he played Bingo & did talk to some of the other residents & carers. Recent visitors have said that he looks a lot better and is chatting with them much more( when he is awake, of course) afternoons are not a good time to visit as Pam knows only too well." For anyone that would like to visit Mike he is now at Orchard's Care Home, 164 Shard End Crescent, Shard End, Birmingham B34 7BP. Use the large car park at the back with your back to the front of the house, turn 1st right off Shard End Crescent & the car park is on the right. Visiting any time but please sign in the visitor's book. League Secretary, Carolyn Franks, is very pleased to report that Daniel Connolly of Massey Ferguson has agreed to take on the role of Race Secretary for Division 3 of the League. Thank you Daniel. We are sure all supporters of the League send you good wishes for the coming season in this role.